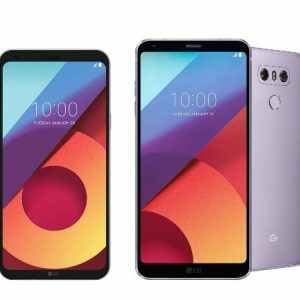 LG on Tuesday announced that the LG G6 and LG Q6 will receive new colour variants in South Korea, added from LG V30’s lineup of colours. The LG G6 will get the Moroccan Blue, Lavender Violet, and Raspberry Rose variants. The LG Q6, on the other hand, will get only the Moroccan Blue and Lavender Violet variants. This takes the total tally of colour options to eight for the G6 and seven for the Q6. The new colours will be available in South Korea starting February 2018. The LG G6 will now be available in Moroccan Blue, Lavender Violet, Raspberry Rose, Astro Black, Ice Platinum, Mystic White, Terra Gold, and Marine Blue colour options. Separately, the LG Q6 will be available in Moroccan Blue, Lavender Violet, Astro Black, Ice Platinum, Mystic White, Terra Gold, and Marine Blue colour options. The LG V30, earlier this month, received the new Raspberry Rose edition just before CES 2018. From the latest announcement, it seems that this colour variant is being retained only for the flagship models in the G series and V series. To recap, the LG G6 sports a 5.7-inch QHD+ (1440×2880 pixels) FullVision display with an 18:9 aspect ratio. It is powered by a Qualcomm Snapdragon 821 SoC, coupled with 4GB of RAM and 32/ 64GB inbuilt storage. There is a 3300mAh battery under the hood. The LG Q6, on the other hand, sports a 5.5-inch FullVision display with a resolution of 1080×2160 pixels. The phone is powered by a Qualcomm Snapdragon 435 SoC, coupled with 3GB RAM and 32GB inbuilt storage. There is a 3000mAh battery under the hood. Talking about the latest updates on the LG’s upcoming flagship phone, the South Korean giant has revealed that there is no delay and the phone is right on track for launch in 2018.